Law Enforcement Reacts To Baltimore Officer Criminal Charges Six police officers face charges, including murder and involuntary manslaughter, for Freddie Gray's death. Some worry they're losing the benefit of the doubt from both prosecutors and the public. A Maryland state trooper stands guard near a CVS pharmacy that was destroyed during rioting in Baltimore this week. "The specter of criminal charges being filed against police officers I believe is going to send reverberations across the nation," says Sue Rahr, a former sheriff who now runs the police academy in Washington state. Rahr is reform-minded, having served on President Obama's task force on 21st Century Policing. But she's also worried that public opinion is becoming too slanted against police. "What gets played in the media is the most extreme cases — the cases that represent an anomaly," she says. "Because those are played over and over again, people get the perception that that's happening all the time and that's the norm." And some cops are slipping into a siege mentality. While mainstream media have been talking about Freddie Gray this week, police blogs have been talking about what happened to a policewoman in Houston on Tuesday. Houston TV station KPRC reports, "Prosecutors [say] tonight that [a] young police woman was stabbed a total of 14 times, attacked, they say, by a man who admitted he wanted to kill a police officer." The woman is a campus cop, who was wearing her uniform while working security at a Wal-Mart. She survived, but the president of Houston's Police Union, Ray Hunt, says police are worried. "There is a mood among some in this country that the police are going to be wrong unless proven right," Hunt says. And police see a connection between that public mood and the decision by an elected prosecutor in Baltimore to charge six officers. Traditionally, prosecutors and grand juries have given American police the benefit of the doubt — and Hunt says that's as it should be. "You have to give the person the benefit of the doubt whenever they don't have the videos and the several days to look at facts to make a decision," he says. "And sometimes they have to make split-second decisions." He says he hopes elected prosecutors will continue to see it that way. But he says the case in Baltimore looks like a bad precedent. "For someone to get indicted for a very high charge — a criminal charge — for something that may simply be negligent is very alarming to us," Hunt says. But not all police see this change as a bad thing. Peter Thoshinsky is a recently retired police lieutenant in San Francisco. We reached him on his cellphone on his way to watch the May Day parade and protests against police violence. "There is political pressure, because the system's broken," Thoshinsky says. "Something's clearly not right in American law enforcement right now." 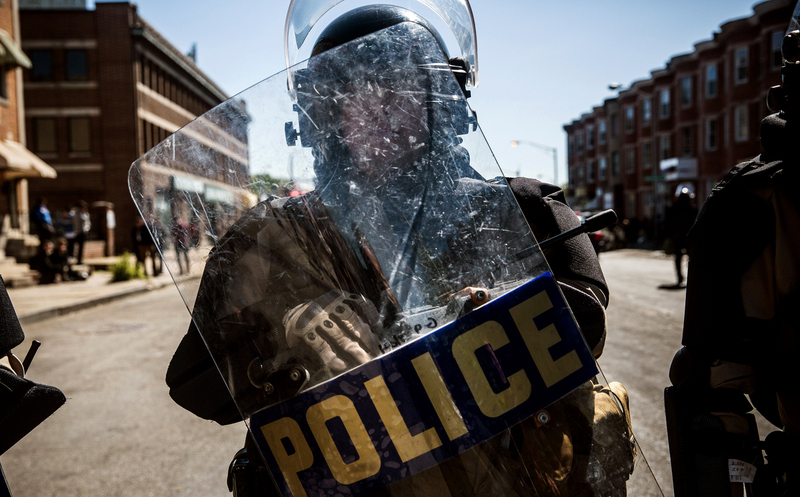 He says public expectations for police conduct are rising — and he thinks that's good. But he's also relieved to be done with his police career.